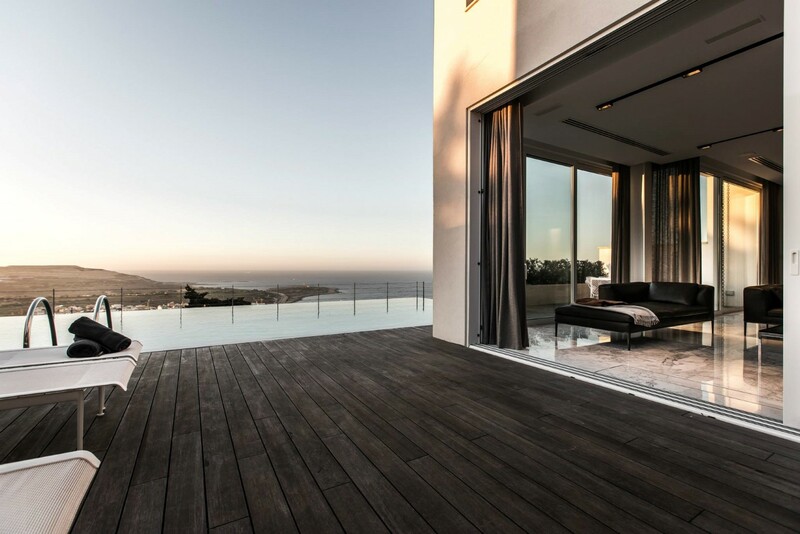 The use of timber to embellish private and public spaces is on the increase in Malta, especially when it comes to outdoor areas such as decking around pool areas, gardens, terraces, or even rooftops and small balconies. This is not surprising given that we are seeing a number of upmarket urban developments across some parts of the island. By choosing natural, sustainable materials, a space is not only instantly updated, but it will exude a sense of warmth and distinctiveness, and above all, the environment would be preserved. There’s nothing quite nicer than sitting on a wooden deck first thing in the morning, or after a day’s work! 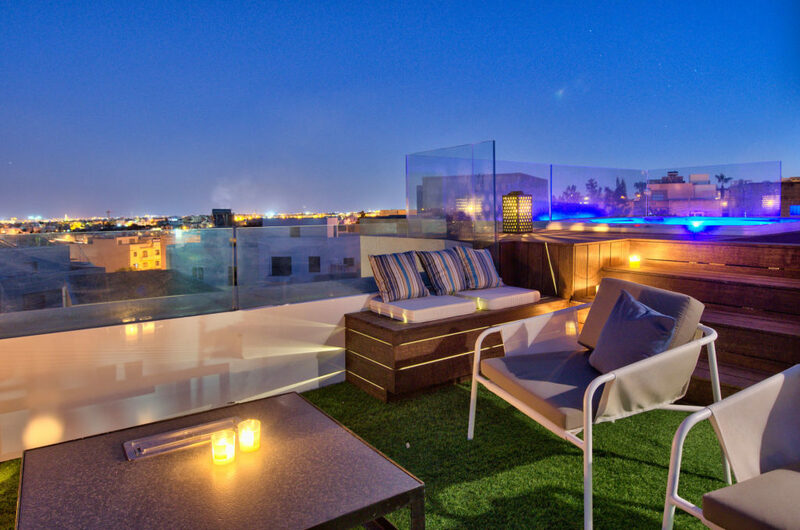 Here are some ideas and inspiration on how sustainable natural materials can be applied to outdoor areas. 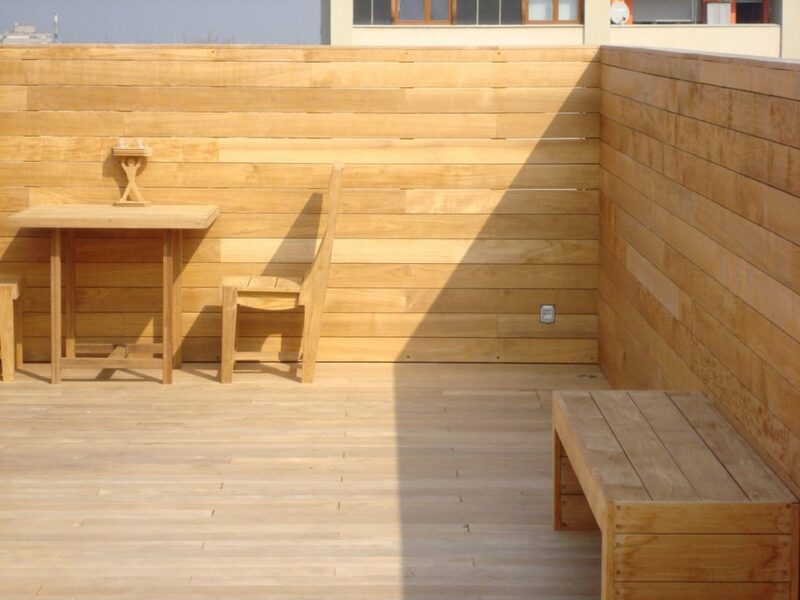 Pressure impregnated timber such as pine can be used for decking, wall cladding, custom seating areas, pergolas, cladding of jacuzzis or hot tubs, sheds, fences or privacy screens, gates or even creating small pathways in a garden. Many other exotic hardwood species such as Ipe, Teak, Garapa, Ash, Iroko and Angelim are also available and becoming widely used. Timbers are usually classified as either hardwoods or softwoods – relating to the type of tree from which it comes. Naturally, the different timbers all have their unique features and which one you use depends very much on the application required, the tonality and texture you are looking for, the footfall/use that is expected out of the product, the budget available, and the maintenance you are willing to apply to your project. 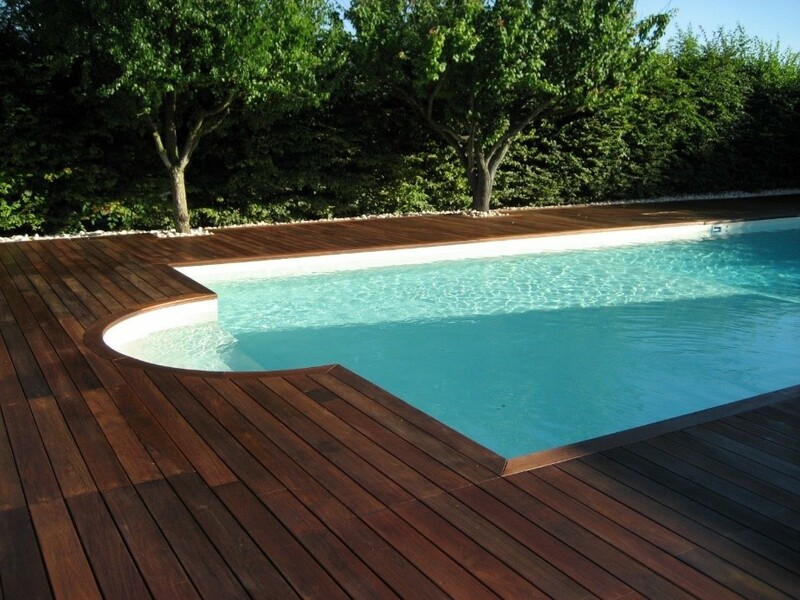 However, the key factor in choosing wood for outdoor applications is its durability. Some wood species have a natural ability to resist decaying factors completely; others have varying degrees of natural durability. Moreover, it is always good to ensure that the woods you are enquiring about come from an environmentally sustainable and reliable source. Apart from natural timbers, there has also been a rise in demand for composite materials, mainly due to the significantly less maintenance required. WPC (wood polymer composite) products are made of highly dense recycled hardwoods and softwoods, together with polyethylene, which is an entirely degradable PVC substitute. Technologically advanced composites also have a protective shield around the inner core, providing extra protection against stains, aesthetic deterioration, fading, mould, decomposition, cracks and splits. Whilst there is no denying that real timbers do look superior in terms of aesthetics, advanced technology has made it possible to have some composites in better finishes, tones and textures that are quite aesthetically pleasing and somewhat closer to real timber. 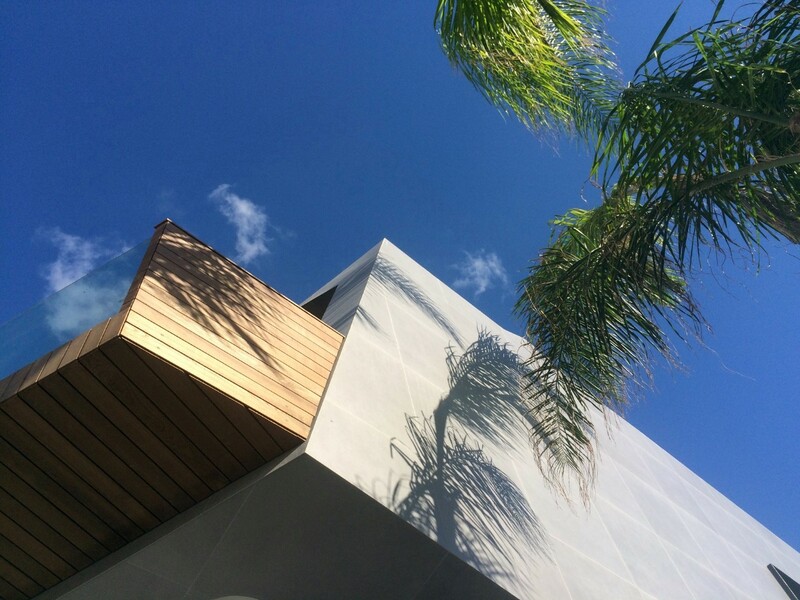 Cladding refers to realisations in timber or composite materials, that are vertically set – building façade cladding, louvers, panelling and ventilated wood walls. 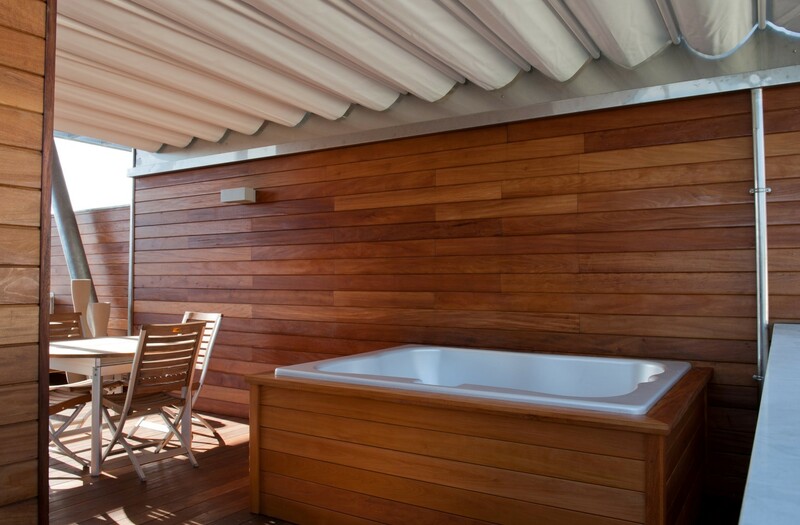 Smaller cladding applications also make a huge impact to an outdoor area, such as cladding around a jacuzzi or hot tub, or stair cladding. Décor panels are also available – these turn wall and ceiling areas from architectural necessities into highly expressive elements of your furnishing style. 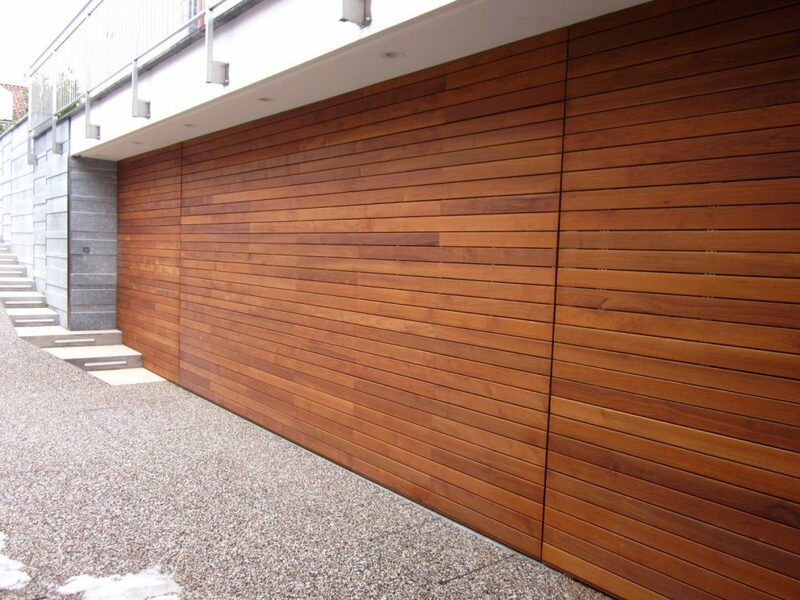 Apart from the environmental advantage of using timber cladding in our outdoor areas (timber is a renewable source and has a low carbon footprint when compared to other building materials), cladding is aesthetically pleasing to look at, but it also enjoys outstanding thermal and sound insulation properties. It also offers protection from the elements and can be treated with preservative elements and flame retardants. 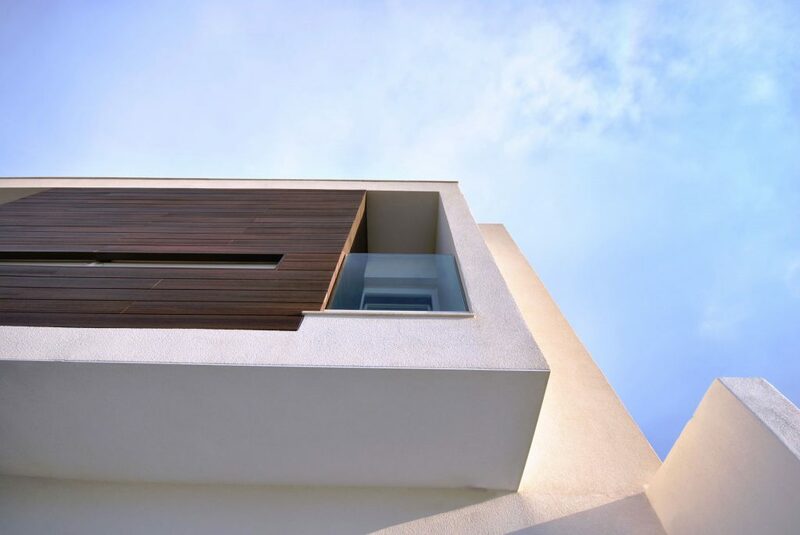 Cladding is also relatively easy to repair and is suitable for both new builds and also renovation projects. 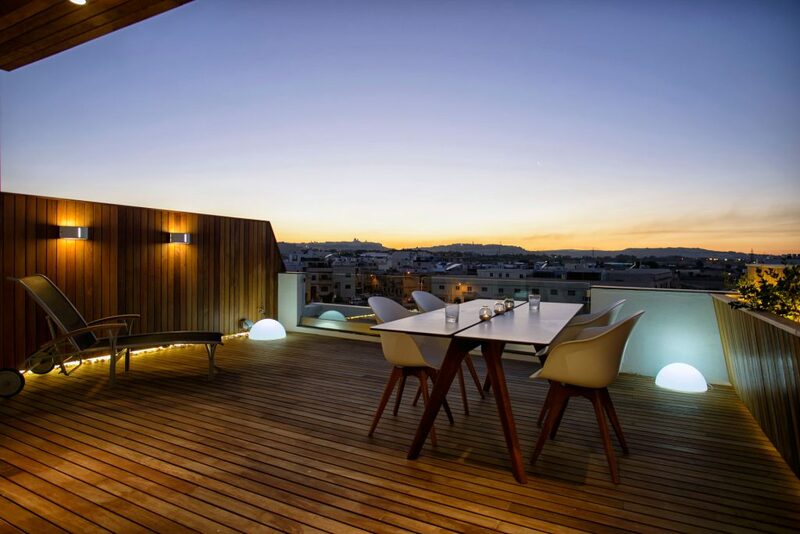 It is undeniable that timber decking exudes an inherent warmth and beauty, and offers huge design flexibility, for both residential and commercial setups. 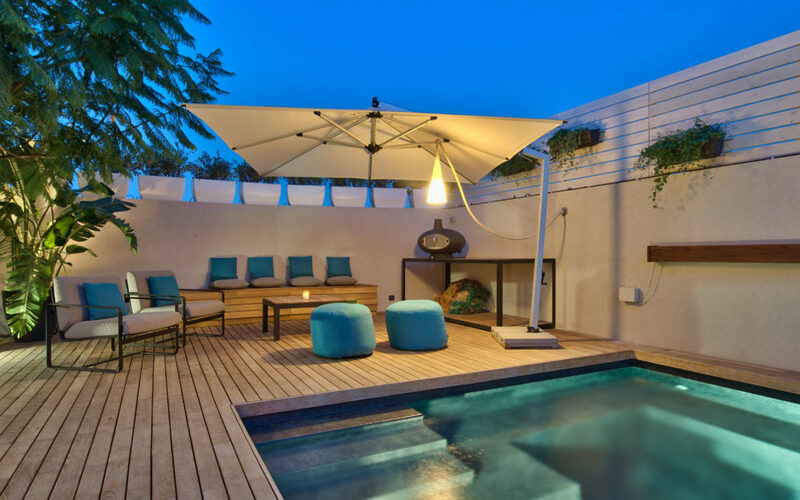 Decking is commonly used around pools, gardens and patios, but it can also be used on smaller terraces, or even in shower trays, or outdoor showers. There are really no limits to the application of decking, and a coherent design can also include planters, seating, trellises, pergolas and sand boxes, all from the same material. Decking can seamlessly connect indoor and outdoor areas, increasing the feeling of space in both. 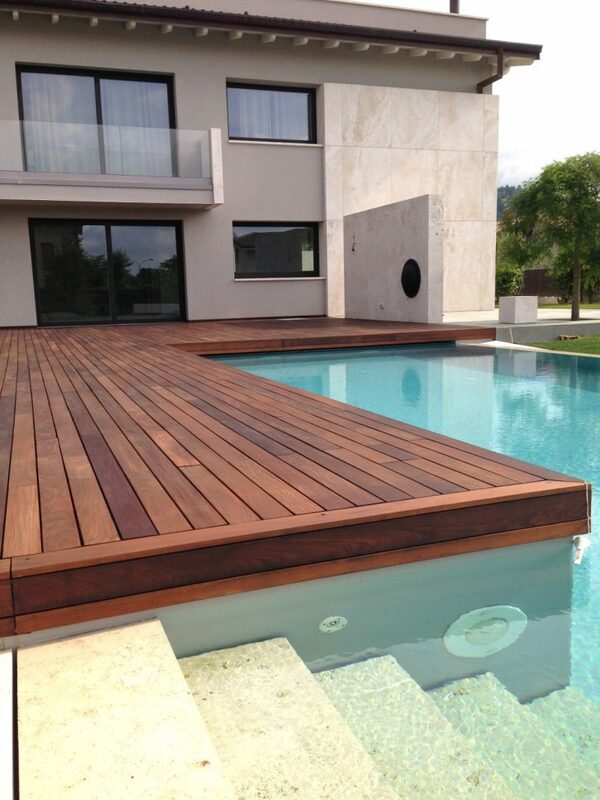 Its properties also make decking a great flooring option for spas and vast outdoor commercial spaces. Decking comes in timber or composite materials, and is available in different plank formats of varying sizes and thicknesses, or deck tiles. Whilst softwoods such as pine are widely used for decking, hardwoods such as Ipe are usually denser and therefore have stronger impact and abrasion resistance properties. 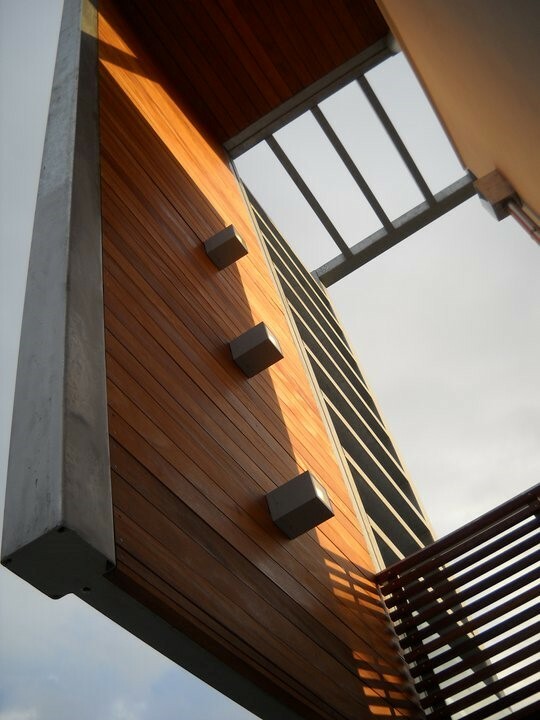 The installation method used should never be under-estimated, as this highly affects the longevity and overall aesthetics of the cladding or decking project. Apart from discussing at length the pros and cons of the various materials, as well as the sourcing and certification of the product you are after, it is very important to understand the installation method that will be used. 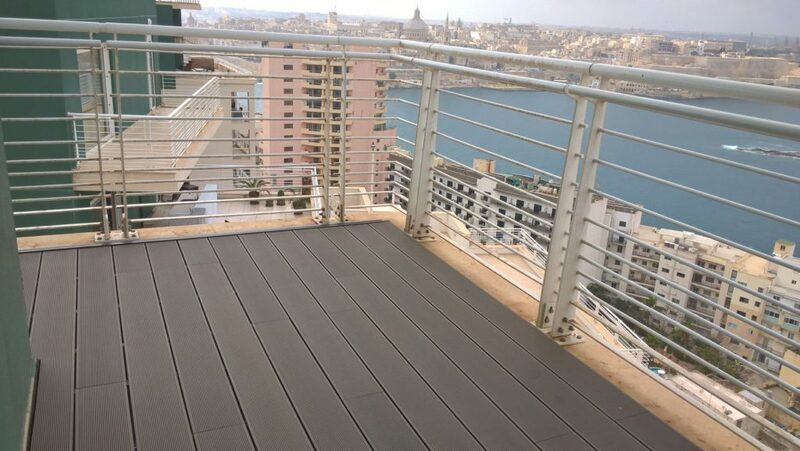 Well-designed and properly installed decking and cladding projects require an amount of annual maintenance to keep in good condition, but the degree of maintenance required varies and depends on factors such as product quality, location and whether they are made of treated timber, or composite materials. The latter require extremely minimal maintenance, except for occasional pressure washing. Real timbers will require preservative treatments and in some cases a water repellent coating is used to improve the appearance of the deck by nourishing the wood. Regular light maintenance goes a long way, and apart from being more economical, maintenance at intervals preserves the natural timber’s beauty and authenticity, and ensures a prolonged lifetime.